If Man isn’t born sinful then why is he in need of redemption? First of all, we have to understand that Calvinists, Wesleyans… pretty much everyone in the main theological camps believes that Man somehow suffers from the effects of Adam’s sin, the Original Sin. So do I, and I’ve outlined what the Church believes by the term Original Sin, here. To recap: Original Sin is the loss of Original Holiness, revealing the inclination to self-interest and “fleshly” desires, inherent in all men. BUT (and this is the point) an inclination to sin, known as concupiscence, is not sin in itself. The main differences between the historical Church and the later Protestant Reformation is the way that concupiscence is defined; in the historical Church it isn’t sinful, but acts as “the tinder for sin”, whereas the Protestant Church sees it as a sin in its own right. Traditionally, this “stain of sin” as it’s historically referred to, is removed during the cleansing of baptism (see more here). 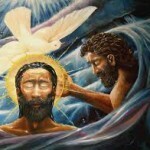 Baptism restores the gifts of fellowship between Man and God, lost after the first sin took place. However the presence of concupiscence is NOT removed, but lessened to a controllable degree. Man will continue to sin (though not inevitably) and believers in Christ are assured that if they sin and repent of that sin, forgiveness is granted. However, unrepentant sinners face condemnation. Redemption, therefore, is the restoration of Man to his former position in the sight of God, through the death of His Son and the death and resurrection of self through baptism. 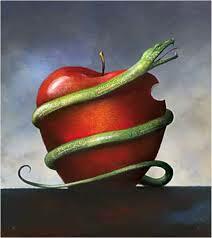 The fact is, if God is as merciful as we believe, Original Sin does not send people to Hell. ACTUAL sin sends people to Hell. Both the sins of the unrepentant and the sins of the unbeliever (including the sin of unbelief itself) are those which are condemned. The faithful who confess and repent are saved; infants who have not sinned we believe and hope are saved through the grace and mercy of God. 1. Are all infants who die in their infancy elect? 2. Can Reprobate children be saved? “Elect infants, dying in infancy, are regenerated, and saved by Christ, through the Spirit, who worketh when, and where, and how he pleaseth: so also are all other elect persons who are incapable of being outwardly called by the ministry of the Word” (10.3).